I love Halo. When I was very young, I remember my friend coming over to my house and bringing his brand new Xbox with a copy of Halo: Combat Evolved. There ensued many afternoons of one-on-one battes on Sidewinder. I fell in love with Halo when I first got my hands on it. I immediatley sold my Playstation 2, with my entire collection of games and peripherals, and went with my dad to purchase my own Xbox. My dad offered to purchase a game for me if I bought the system, of course I told him I wanted Halo. “You sure? There’s tons of other stuff here.” Nah, dad. Halo is the one. Since then, I have played every release in the series I could get my hands on. I still have my physical copies of every release, including my original Game of the Year edition of Halo: Combat Evolved. What has caused me, with a multitude of others, to fall in love with this franchise and its poster hero, the Master Chief? In the Refromed tradition of theology, the popular form of apologetics (a defense of the faith) is presuppositional apologetics, which seeks to offer a defense based on why people belive what they believe. Why are people drawn to certain ideaologies? Why do people feel the need to have charitable organizations? Why do people enjoy certain forms of entertainment? Overwhelmingly, in movies and video games, people enjoy seeing the good guys win. We seem to gravitate to heroes that are self sacrificial, and we love to see the weak overcome the strong, many times against overwhelming odds. In the lore of Halo, the human race had been advancing steadily. Earth had seen a unified government, and we had spread across the stars, establishing colonies and making huge advances in technology, all to the improvement of our race. Nothing could stand against us. We had become an ultimate power. Until Reach. There had been rumblings and murmurings of problems in the outer colonies. But these had been put off as civil unrest, problems that are easily dealt with. 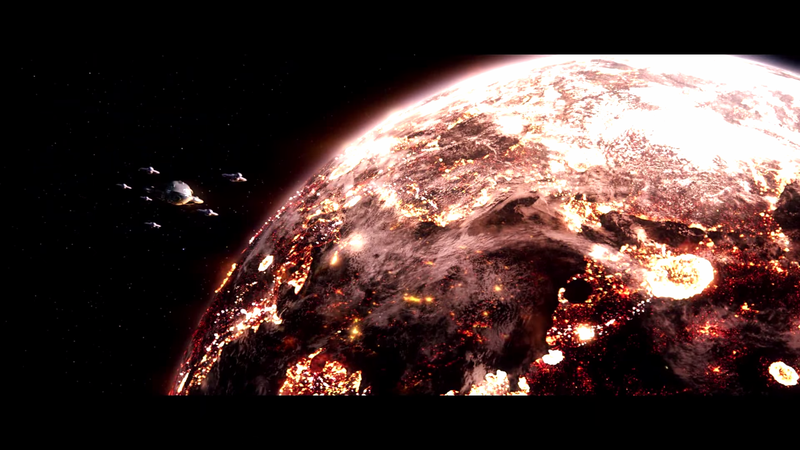 But at the Reach colony, it was revealed that an advanced alien alliance known as the Covenant had taken notice of humanity, and for unkown reasons was on a campaign of destruction. Humanity had never before seen such aggression and overwhelming power. Very quickly, contact was lost with the her colonies, and Earth was left in the dark. 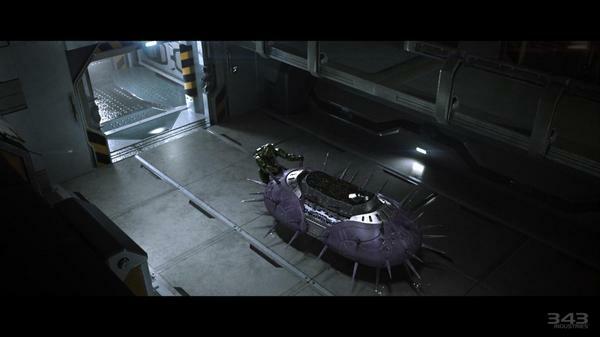 At every turn, the human fleets were defeated by the Covenant ships. Humanity had no option but to wait for our inevitable destruction. Our theology of humanism had failed. Men were not the ultimate power. In ourselves, we had no hope of survival. 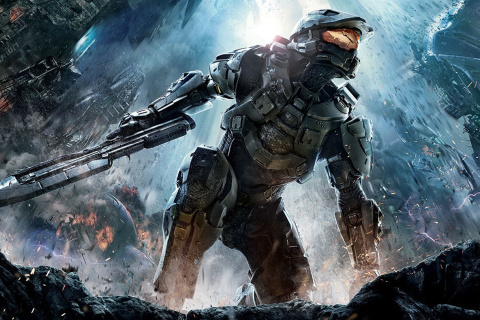 Enter the Master Chief, a figure of dubious and virtually unknown background. Having been physically altered by genetic modifications and a complete suit of armor, his otherworldly appearance caused some to question his humanity, yet in every engagement with the Covenant, the Chief had complete disregard for his own life. His sole purpose was to ensure the survival of the human race. Why are we, as the players, drawn to a character like this? In most cases, we couldn’t imagine such a sacrifice of oursleves. We see this constantly in entertainment, but in reality, our survival instinct to preserve ourselves kicks in more often than not. There is something about a hero figure that is stronger than us laying their life down that causes us to find joy in their story. This, I argue, is evidence of the imago dei, the knowledge that men are created in the image of God, and have some innate recognition of godly things. I think that, even though we, as humans, want to believe that we can accomplish anything, we ultimately know that there are issues that we must look outside of ourselves to solve. With all the power we aquire through technlogy or scientific knowledge, there are still transcindental questions that we cannot answer through these means. Why is there evil in the world? Why has war and conflict persisted through millenia, regardless of the advances we have seen? The various religions of the world have attempted to answer these questions. We closely identify with the plight of humanity in the Halo series, but what can we glean from the story of the Covenant? 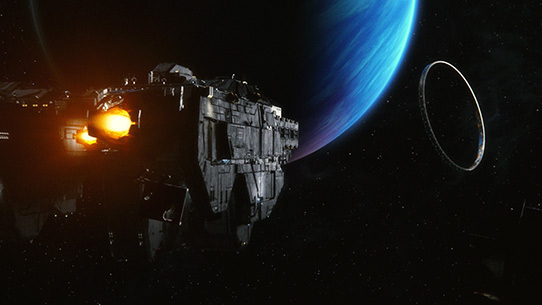 In the series, we learn that the Covenant are an alliance of various alien races that have united in a common belief in the “Great Journey,” a path of religious pursuit toward an ultimate goal of redemption. 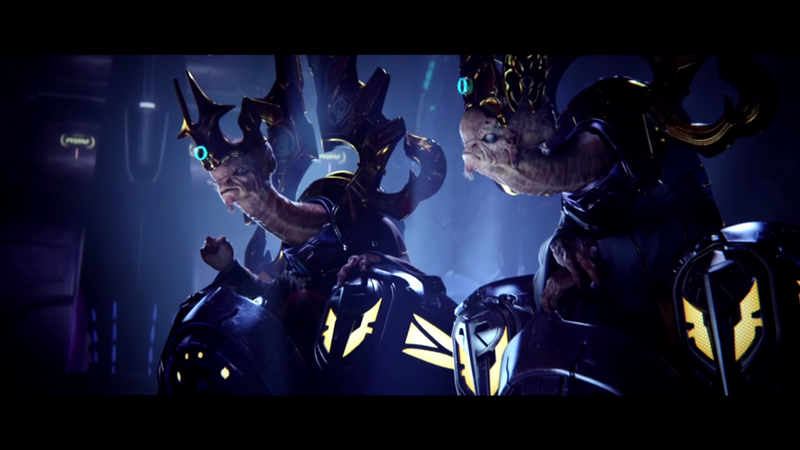 The Covenant believe that a long-departed race of beings known as the Forerunners had left behind a means to aquire a higher level of existence. The Covenant had recognized that a mere physical existence was not the ultimate end of their being. The means to accomplish this transition to a higher plane, they believed, was the activation of the Halo platforms. As the player learns, along with the Master Chief, this belief is in error, because the Halo installations were meant to destroy all life in the universe, not advance it. A parasitic entity known as the Flood would eventually consume all life if their food source wasn’t destoyed. The Halos were an evolutionary “reset” button that would destroy all sentient life and allow the universe to restart without the threat of the Flood. This presupposes that life can arise naturally from non-life, but we won’t dive into the issues with this right now. The Master Chief, with his knowledge of what the Halos actually do, convinces some in the Covenant to assist him in his fight to preserve not only humanity, but the lives of the Covenant as well. 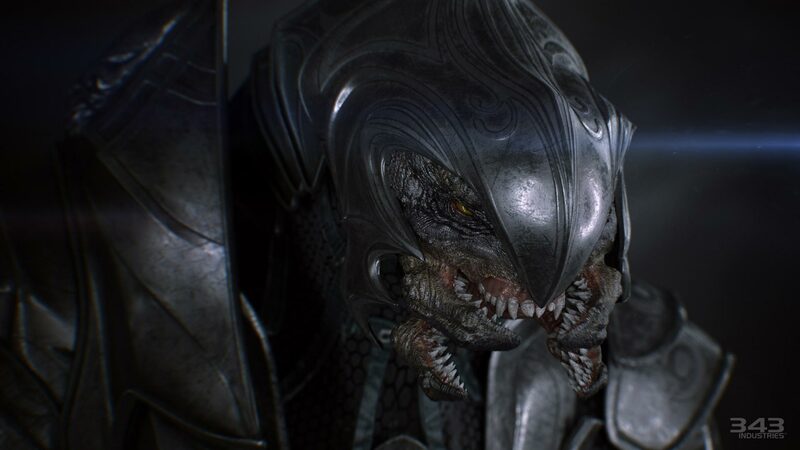 Enter the Arbiter, a character with total devotion to the leaders of the Covenant and the Great Journey, but one who begins to doubt the validity of his actions. Ultimately, he rejects the false beliefs of the Covenant, and labelled as a heretic, is cast out of their system. As the story continues, however, we see that many of the Covenant eventually follow his lead. What do we learn form this? We learn that passion does not equal truth. One can be completely sold out to their belief, but if that belief is a lie, it can only lead to their destruction. Even if some portions of the system are true, if the ultimate belief is a lie, the whole pursuit is futile. There are innumerable religions that exist in our world, all seeking to answer the ultimate questions of life, “Where do we go when we die? What is our purpose in existence?” Mere passion cannot be evidence of truth, and like the Covenant, many will condemn others who see error in their beliefs, and they will blind themselves to any possibility of being wrong, and ultimately will perish in their error. As I stated previously, deep down inside we identify with these themes because we see them in the real world. They may be hidden in different forms, but they show themselves often in various ways. Christianity offers sufficient answers to these questions. Ultimately, we know that humanist philosophy is futile, because there are always questions that cannot be answered from within ourselves. With all the history, philosophy, science, and technology we have seen grow and expand over the centuries, we still have the same problems that plague men, problems that arise from within us. We seek to explain away things like violence or sexual deviance by the “nature vs. nurture” argument. If nurture is the cause, why don’t we see consistency? Many times, some of the most heinous crimes are caused by people that we saw to be perfectly fine and reasonable people. If nature, what does this say about ourselves? We are a sick race, and we have realized that there must be an outside explanation. Numerous religions have arisen, seeking to provide a way out of this imperfect existence, but some of the same problems remain. Many people do not find fulfillment in religion because they seek to pull the solution from within themselves. What actions of penence or humility can I perform to reach perfection? Many have spent their entire lives pursuing this, but none have attained this perfection. Even if it is hidden within our subconscious, we know that our nature itself is a barrier to attaining spiritual satisfaction. Enter Jesus, the Christ, the divine person who broke through the barrier of our world with an answer to our problem of nature. He reveals that within of ourselves, we can accomplish nothing. Jesus is that hero who will lay down his life to provide us a way of survival. Jesus reveals to us that there is no solution that can arise from within us. Our salvation must come from without. For I have come down from heaven, not to do my own will but the will of him who sent me. And this is the will of him who sent me, that I should lose nothing of all that he has given me, but raise it up on the last day. For this is the will of my Father, that everyone who looks on the Son and believes in him should have eternal life, and I will raise him up on the last day. Have you recognized this problem in your own nature? Have you understood that your ultimate fulfillment in this life cannot be attained by yourself alone? Don’t turn to empty religions that tell you that you can perform enough good to save yourself. Turn to Jesus. Awesome job here. I love the expanse that was covered, not just one game, but the universe. It brought back the memories that I had of my brother and I playing the first halo when it came out so many years ago. Can’t wait for the next entry into the series. Keep up the good with, God Bless and GG. PS. How do I get involved in writing on the blog? David, if you aren’t already, please check out & become a part of our community on Facebook. And e-mail us at TheReformedGamers@gmail.com with some of your blog post ideas to get involved! God bless.